The Crawford Area Transportation Authority (CATA) provides bus service in and around the cities of Meadville and Titusville in Crawford County, PA. Getting to a center is never a problem thanks to door-to-door bus service from CATA. 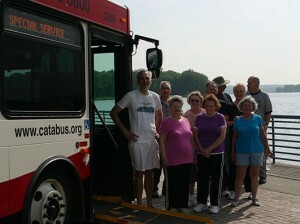 Contact CATA at 814-336-5600 or, in the Titusville area, 814-775-0228 to inquire about a senior transit ID card. Buses are ADA accessible. Influenza injection events are scheduled in the early fall at our centers. See our schedule published in the August or September Echo. For more information on receiving a flu shot, please visit Pennsylvania Flu Planning’s website. There are an array of opportunities to help seniors, either directly or behind the scenes to assist in providing the special services or events that seniors need and enjoy. Our services and events are very different and diverse. Look at your talents and treasures, and gifts you possess. What would you like to volunteer to do for someone else? We provide great training on most volunteer experiences, so you may want to try your hand at something new. Volunteers are needed to plan special events and help in so many different ways. Our volunteers help provide services to seniors with programs such as the APPRISE State Health Insurance Counseling, fundraising projects at Senior Centers, and baking items for fund-raisers at all our locations. 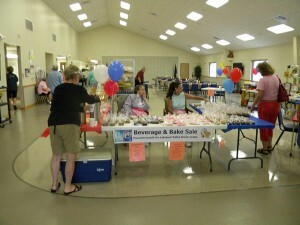 We have many special events that could benefit from a great decorator or volunteers to set up and help tear down. We need you to make life for seniors in Crawford County even more fulfilling. Let us know what you want to do to help. Call us and we will help you make your resolution a great helping habit. Volunteers from the AARP Tax Aide Program operate a Tax Counseling for the Elderly (TCE) site at the offices of Active Aging, Inc. during Income Tax season only. Volunteers are available, by appointment only, to assist senior citizens with their simple income taxes. Active Aging, Inc., in conjunction with the Pennsylvania State Alzheimer’s Association, sponsors a monthly support group for caregivers and family members of those suffering from Alzheimer’s disease or other forms of dementia. The support group meets the fourth Monday of each month at 2:00 p.m. Caregivers may bring their care receiver and agency staff will provide supervision and activities while the caregiver attends the support group. The Pennsylvania Department of Agriculture Senior Farmers Market Nutrition Program is offered locally by Active Aging, Inc. Checks are provided to qualifying senior citizens to purchase fresh fruits and vegetables at participating Farmers Markets. Trained and Certified Volunteer Counselors are available by appointment to assist Medicare beneficiaries with their insurance questions and problems. Assistance is available with questions about Medicare, being newly eligible for Medicare, Medicaid/Medical Assistance, Medicare Supplemental Insurance, Medicare Advantage Plans, Low Income Subsidies for assistance with Medicare Prescription Drug Costs, Medicare Savings Program to help eligible persons apply for help to pay their monthly Medicare Part B premium, PACE/PACENET (Pharmaceutical Assistance Contract for the Elderly), and Veterans benefits. Call for an appointment at Active Aging, Inc. 814-336-1792 or 1-800-321-7705 or the Titusville Health and Aging Center 814-827-9134. This is a free service. The Ombudsman advocates for and protects the rights of older persons receiving long-term care services. They receive, investigate, and resolve complaints on behalf of individuals. Trained staff or volunteers are available to act as an impartial mediator to address concerns. Voter Registration opportunities are offered by Active Aging, Inc. in your own home when you receive in-home services. As part of the “Motor Voter Law” passed in 1993, Area Agencies on Aging are required to provide an opportunity for you to register to vote when you are receiving in-home services.